One of the objectives of language technology experts is speaking and interacting with machines in any language. This is nothing new; but this type of technology is increasingly common at user level. The new generation of speech recognition and natural language processing systems has already begun to filter down to users, through improvements in personal assistants (such as Apple Siri, Google Now and Microsoft Cortana) and new products such as Skype’s voice translator or Amazon Echo’s smart speaker. Deep Learning is no more than the evolution of traditional neural networks (algorithms designed to reproduce the mechanics of the human brain in the encoding and decoding of messages, enabling self-learning). However, their widespread use seems to be reinventing research and development in various fields, such as image processing, language processing, and speech technologies. Neural networks are learning systems that use relatively simple mathematical functions, called neurons, which work in an interconnected way to create various layers (see Fig. 1). The layers enable different levels of abstraction and, to a certain extent, a form of learning that is more similar to that of humans. This contrasts with previous techniques, such as statistics, in which the system learns from the data, as in Deep Learning, but without considering abstractions. A frequently asked question is why artificial neural networks (a mathematical technique that goes back to the 1950s) are so popular today. In fact, in 1969, Minsky & Papert clearly defined their limitations, including the fact that single-layer neural networks cannot compute the XOR operation for two inputs (the result is true if one of the two inputs is true, but not both, e.g. Juan is tall or short); and the fact that computational capacity at the time was not enough to process multilayer neural networks. The problem of training for the XOR operation was solved with the backpropagation algorithm (Rumlelhart et al., 1986), and computational capacity has increased dramatically with the use of Graphics Processing Units (GPUs) that enable hundreds of operations to be performed at the same time. An important milestone was reached in 2006: the year in which the concept of Deep Learning was introduced with the development of an effective way of training very deep neural networks (networks of several layers) (Hinton et al., 2006). Currently, neural algorithms are advancing at such a pace that the specific architectures that are effective today could be replaced by others tomorrow. So we are talking about a field that is in constant evolution. In a natural way, neural networks have become a tool for automatic learning. Multiple-tier architectures with a range of network types have been used satisfactorily for classification and prediction techniques. Recently, automatic learning has crossed boundaries and successfully entered other areas. As a result, voice recognition and automatic translation can be approached as automatic learning problems that can be solved via specific neural architectures. Neural architectures have been effective in the fields of speech technologies, voice recognition, automatic translation and voice synthesis. In recent years, Deep Learning algorithms have been the key to obtaining significant advances in the features of automatic speech recognition systems. Neural networks have proved to be a versatile tool that can model all the acoustic, phonetic and linguistic aspects of this task. Complex, traditional systems based on many specific components have already been replaced by general structures that are highly versatile and have better features. Every year, new architectures appear that are based on recurrent neural networks (Karparthy, 2014) and offer significant improvements in the hit rate. The new systems may not increase knowledge of the complexity of the problem, but they have helped to resolve it. Now we can build machines that have a surprising capacity to learn models, through the use of examples, as complex as those involved in speech recognition. Text translation via Deep Learning relies on an autoencoder structure (Cho, 2015) to translate from a source to a target language (see Fig. 2). The encoder learns a representation (M) of the input data (source language, S) and then decodes it to output data (target language, T). The autoencoder is trained using translated texts. 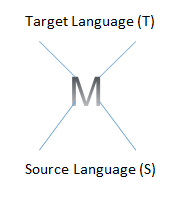 Source words are mapped to a small space (see Fig. 3). This operation reduces the vocabulary and takes advantages of synergies between similar words (in morphological, syntactical and/or semantic terms). The new representation of words is encoded in a summary vector (a representation of the source language that we have to decode into the target language), using a recurrent neural network. This kind of network has the advantage of helping us to find the most accurate words, according to the context. Decoding is carried out using the reverse steps to the encoder. Recently, this architecture has been improved by an attention mechanism, which uses the context of the word that is being translated instead of using the sentence as such. In voice synthesis, written phrases are transformed into one of the possible correct ways of reading them. The most mature technology to date concatenated pre-recorded segments. However, in the last decade, advances have been made in statistical synthesis, which is the traditional technology. In this technique, the voice is modelled through parameters that define oral discourse, for example, pauses and intonation, learnt statistically. Given a phrase, appropriate models are selected for the phonemes and a generation algorithm produces what is finally transformed into voice. One of the first applications of Deep Learning was to broaden the definition of the contexts. In statistical synthesis, a precise phoneme is defined according to the context. In contrast, in Deep Learning, the appropriate parameters can be found without an explicit definition of contexts (Zen et al., 2013). Recently, recurrent neural networks have been used that model time sequences: the learning system itself learns the continuity of speech. Specifically, recurrent neural networks called long short-term memory (LSTM) facilitate learning of elements such as the intonation of a question or the reading of relative clauses, which occur in broad contexts of reading. Neither traditional statistical systems nor current systems can read in a way that shows comprehension of the text. In both systems, learning is based on three elements: algorithms, data and calculation capacity. The major advances in Big Data processing and in the capacity to carry out complex calculations and multiple operations simultaneously open up new perspectives for Deep Learning. If the observable data and calculation capacity are increased, would this paradigm be able to model the intricate mental processes we use to read? For the sceptics who saw neural networks, the precursors to Deep Learning, fail in the 1980s, we should explain that advances in the new neural techniques can be seen in the quality of speech systems, which are revolutionary (LeCun et al., 2015). For example, in voice recognition, the error rate has been brought down by around 10% (see TIMIT). The fact that the functions that characterise a problem do not need to be designed, as they are learnt automatically, has enabled challenges to be extended in the field of speech technologies to end-to-end voice recognition (learning one function that enables the direct transfer of voice to text) (Hannun et al., 2014), multilingual translation (Firat et al., 2016) and multimodal translation (image and text) (Elliot et al., 2015). 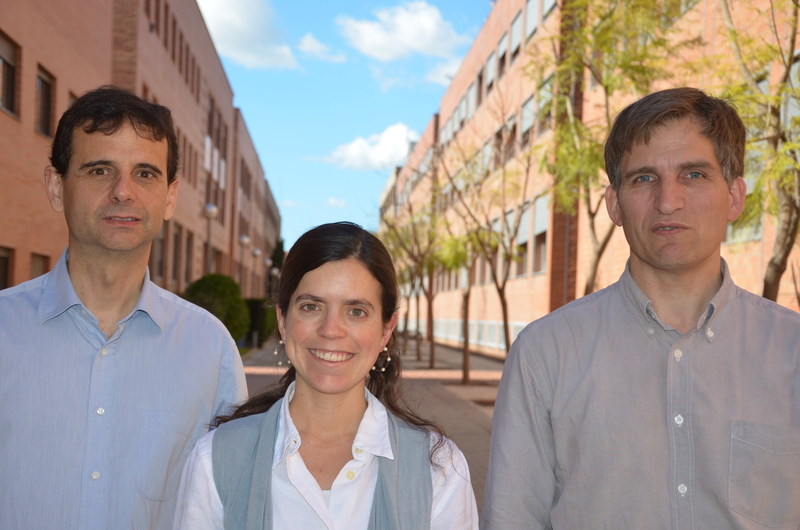 From left to right: José A. R. Fonollosa, Marta R. Costa-jussà and Antonio Bonafonte. At the Center for Language and Speech Technologies and Applications (TALP UPC) we are leaders in the development of research on the granularity of characters (Costa-jussà & Fonollosa, 2016). This technique enables learning of text translation by detecting subsequences of words with meaning, such as prefixes and suffixes, and reducing the size of the vocabulary. This leads to a high level of generalisation, particularly for morphologically flexible languages, which has a positive impact on the quality of the translation. We may reach certain limits in neural networks again, but these architectures have already opened up new horizons for research and for a wide range of applications. These include the “simple” design of a machine that can win the popular Japanese game GO, and the major impact that neural networks could have in growing sectors such as artificial intelligence (AI), the internet of things (IoT), social computing, or image recognition, in addition to those mentioned above. Neural networks are beginning to be implemented in areas such as the aerospace industry, education, finances, defence, e-commerce and health (diagnostics and drug prescription). Some technological innovations are being tackled that would not have been feasible or manageable with traditional techniques such as statistics. So it seems reasonable to consider that neural systems are here to stay for a while. 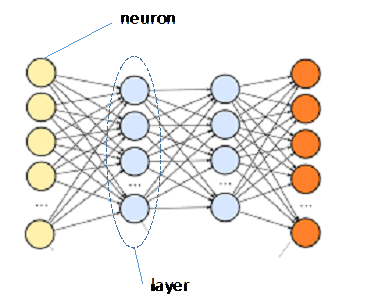 This entry was posted in Sin categoría and tagged Antonio Bonafonte, Automatic learning, Deep Learning, Jodse A R Fonollosa, Marta R Costa-jussà, Neuronal networks, Voice recognition on 14 April, 2016 by www-citupc.